I have been writing guest posts to my fellow bloggers frequently, recently two of my blogger buddies revealed in their respective blogs about my guest posts which i prepared with loads of love specially for them. Kalyani of Sizzling Tastebuds and Divya of Divya's Culinary Journey asked me to make a guest post in their blogs and i immediately accepted this wonderful opportunity. My guest posts are up in their blog. These puff pastry rolls are very easy to prepare and just few minutes to enough to make these rolls. A prefect evening snacks for kids or you can use these cuties as party desserts. These cute looking rose shaped brioches goes for an easy breezy stuffing and they can be served either as sides with a bowl of soup or as snacks. Hope you guys will enjoy thoroughly these both guest post..
Lovely guest posts Priya.Will go right there to check them. 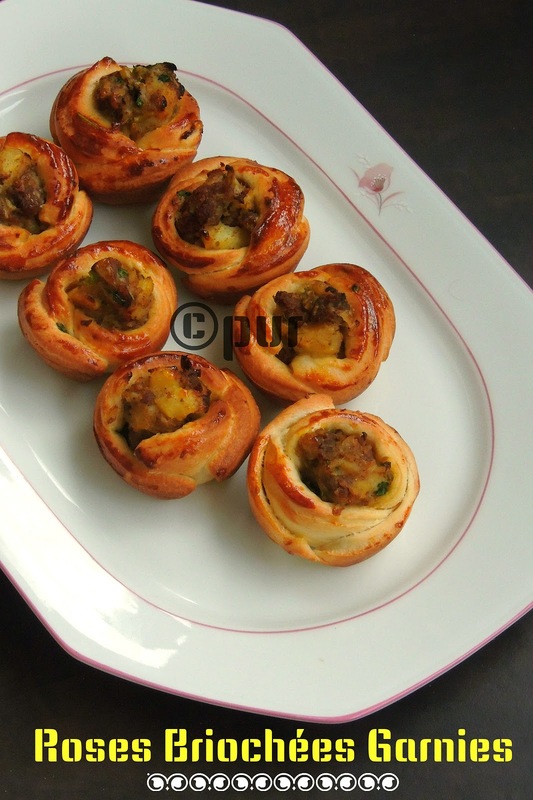 puff pastry rolls look super..Nice guest post dear..
Looks great.. would check it out.. The both look super delicious! Off to check your post.. 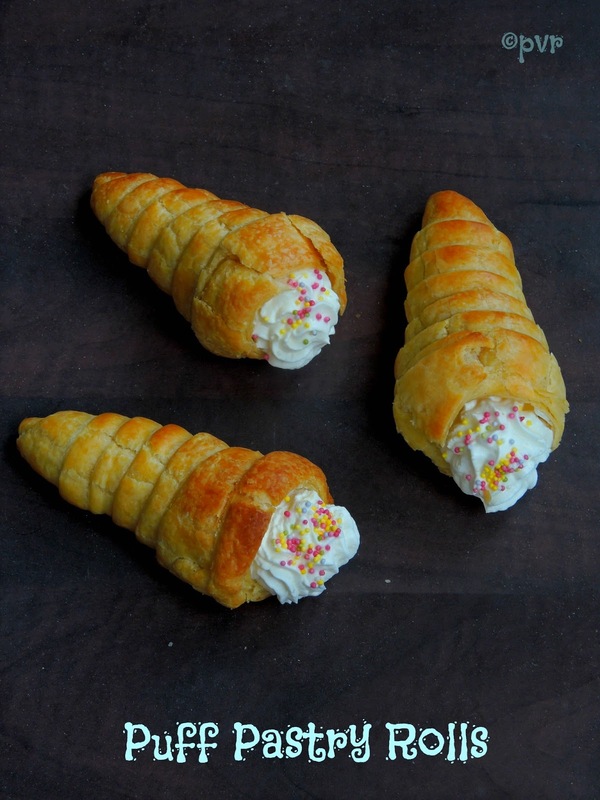 Thanks for posting this one...we called then cream rolls during our childhood days!!! Just too adorable!!! Lovely guest post dear ...looks delicious ! !